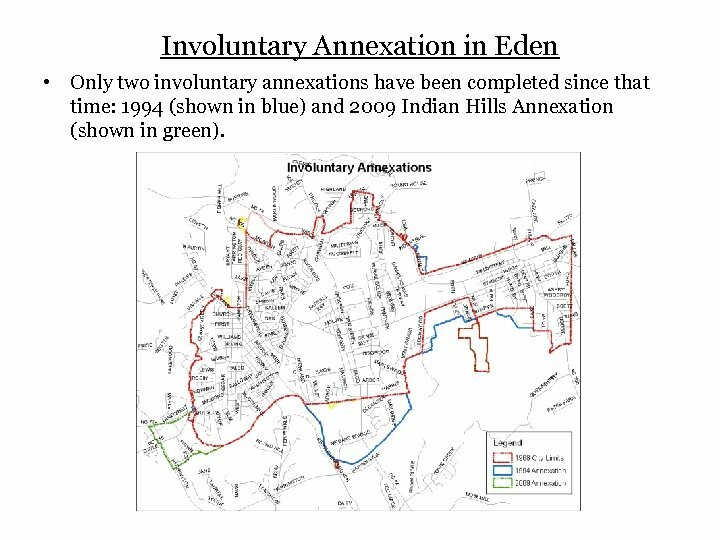 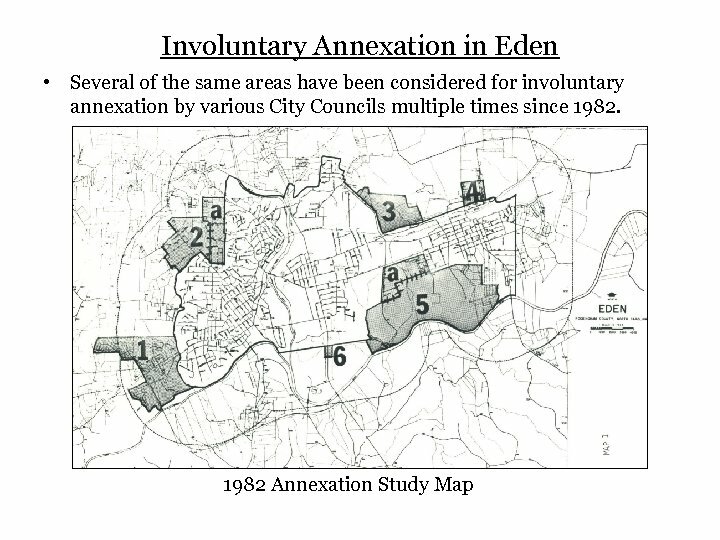 Involuntary Annexation in Eden • Only two involuntary annexations have been completed since that time: 1994 (shown in blue) and 2009 Indian Hills Annexation (shown in green). 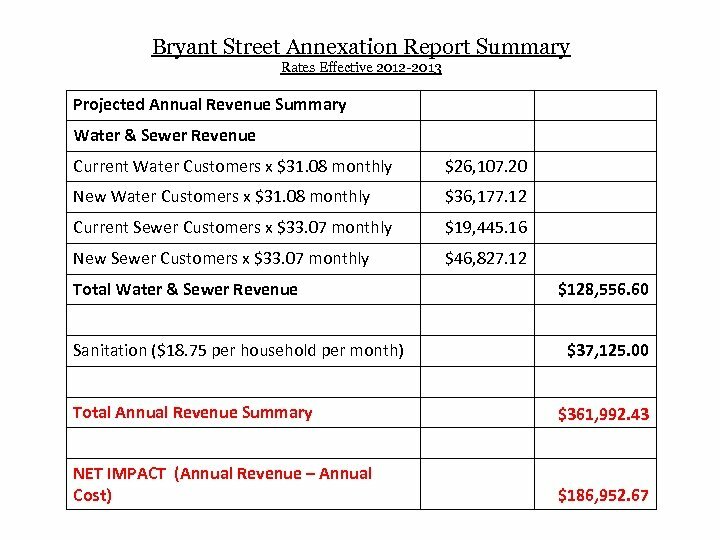 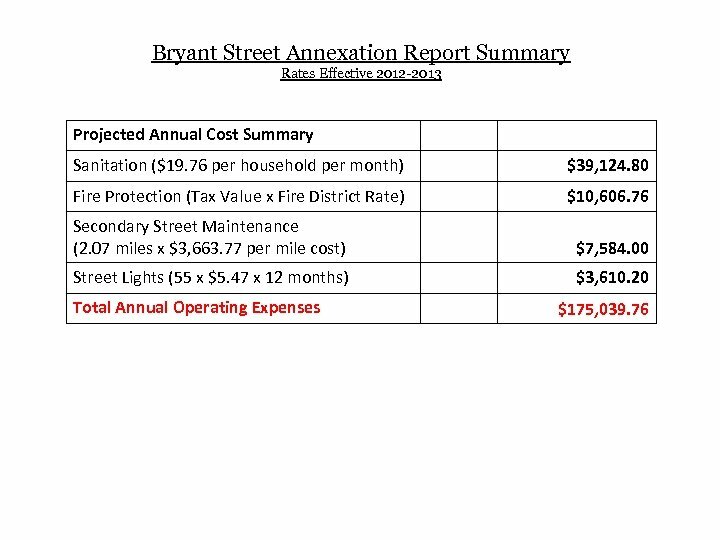 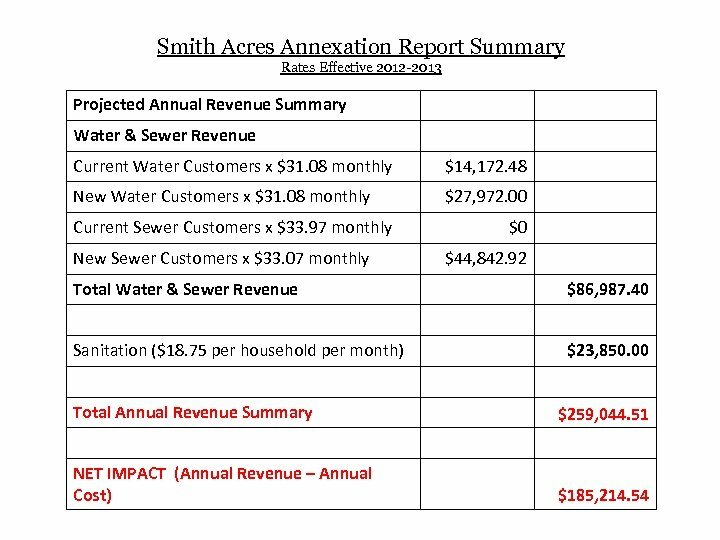 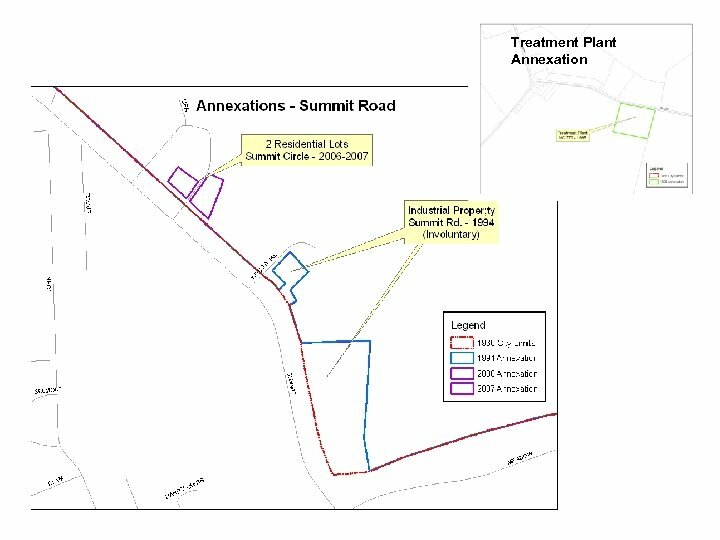 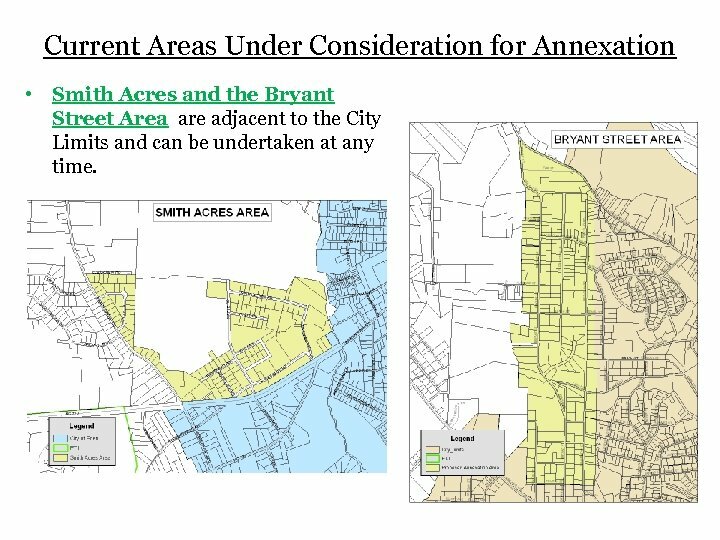 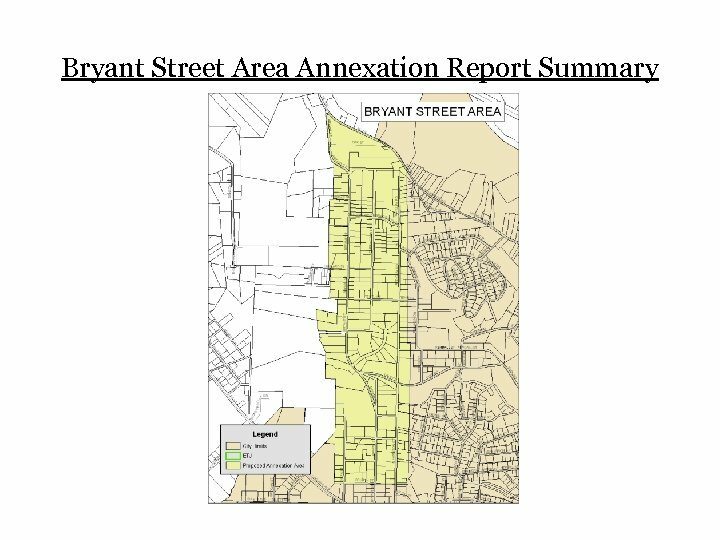 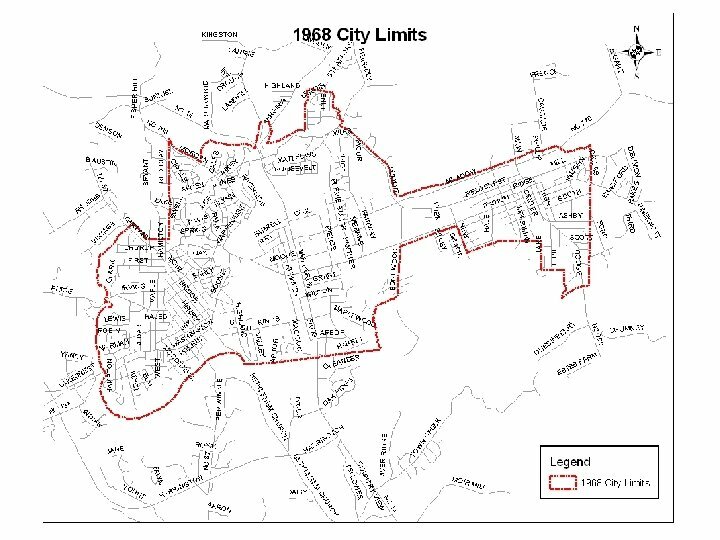 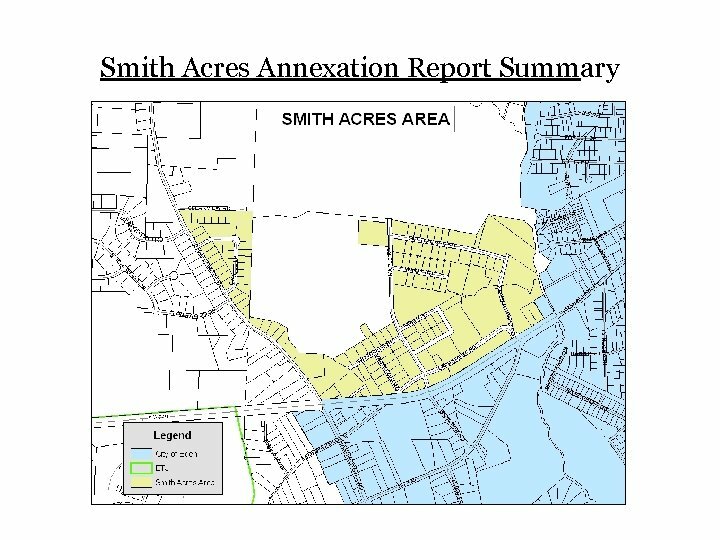 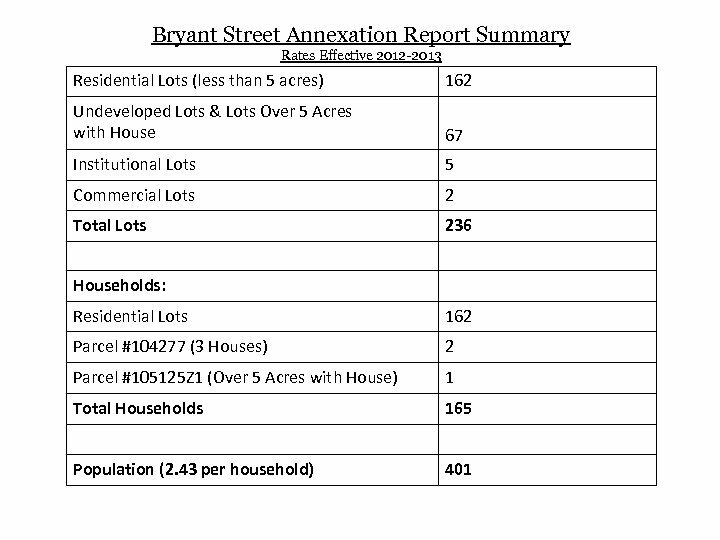 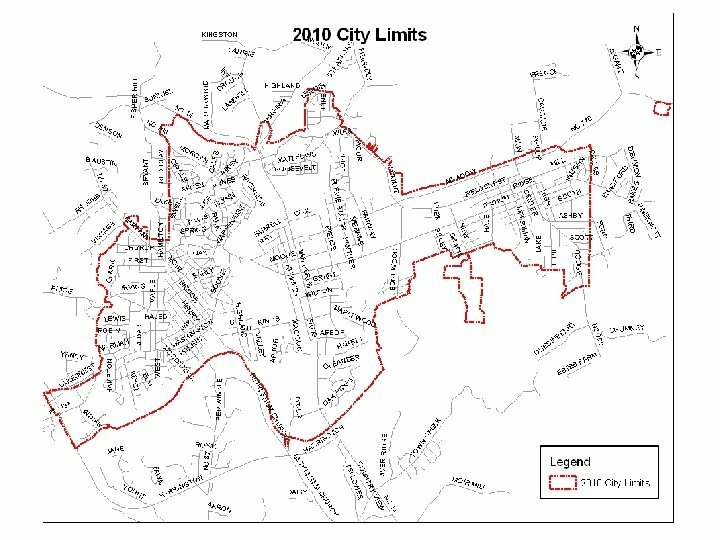 Current Areas Under Consideration for Annexation • Smith Acres and the Bryant Street Area are adjacent to the City Limits and can be undertaken at any time. 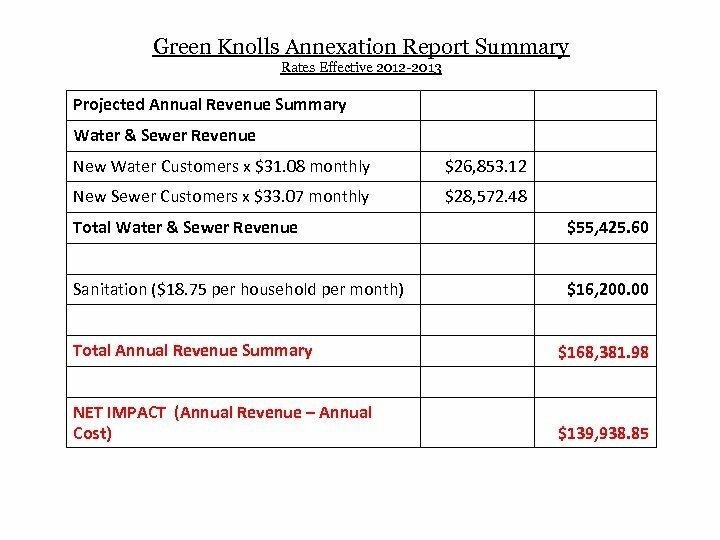 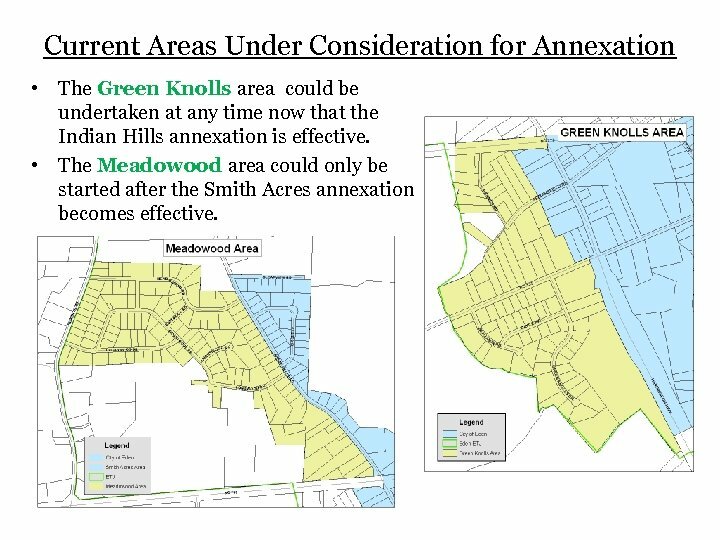 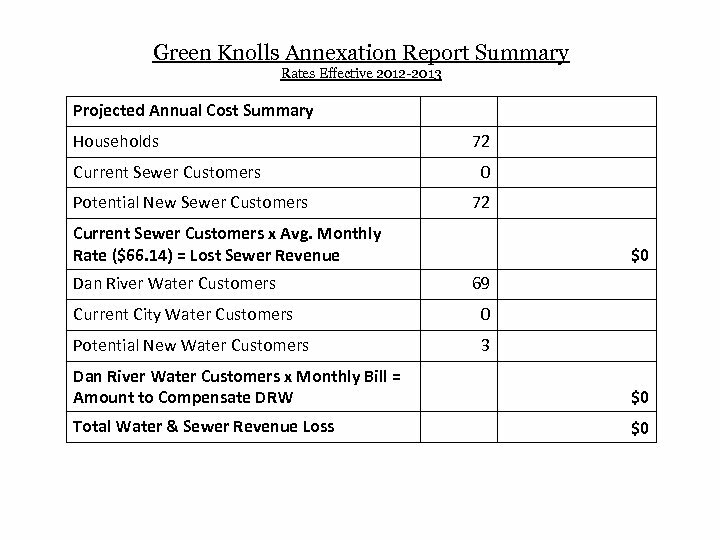 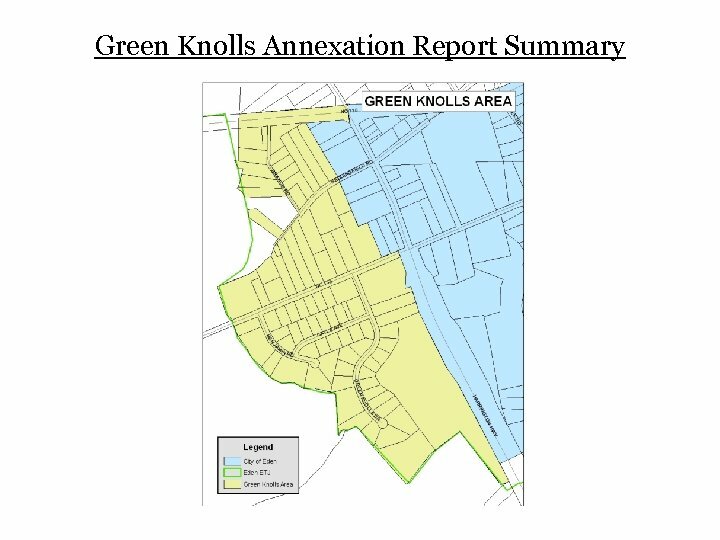 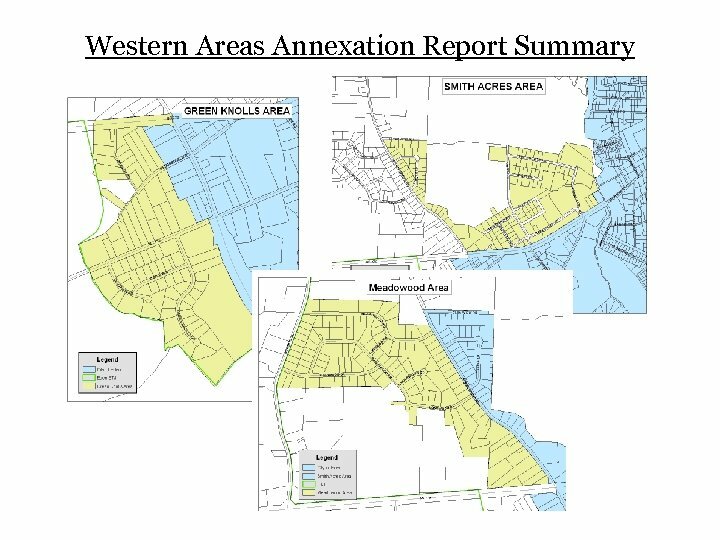 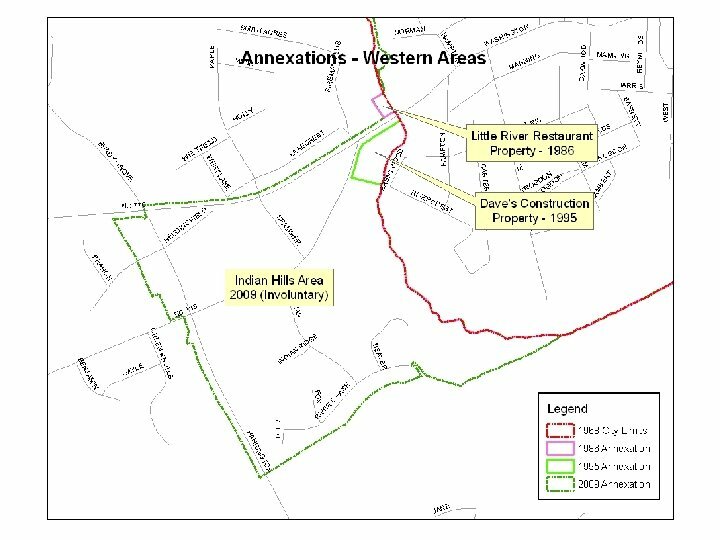 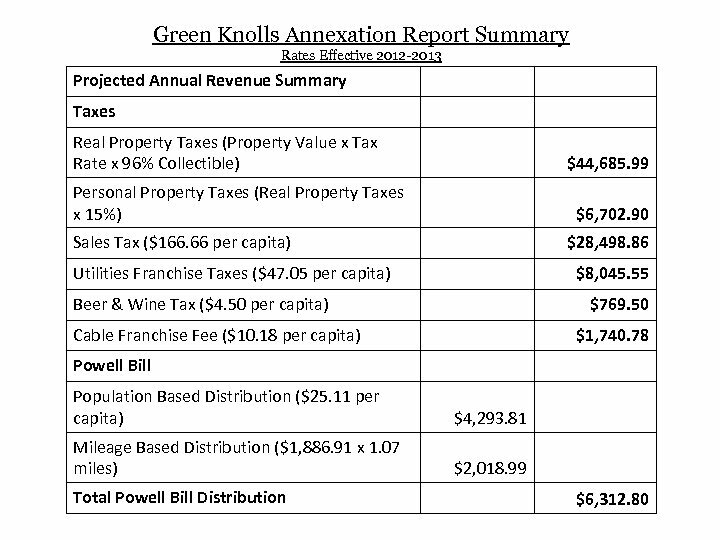 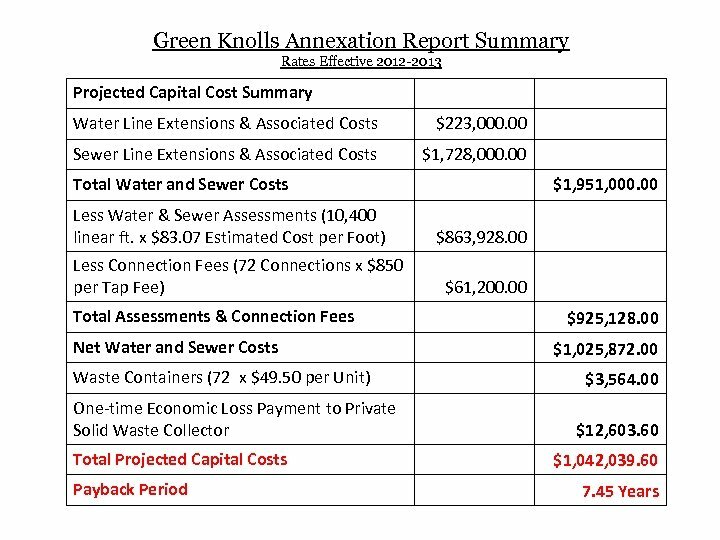 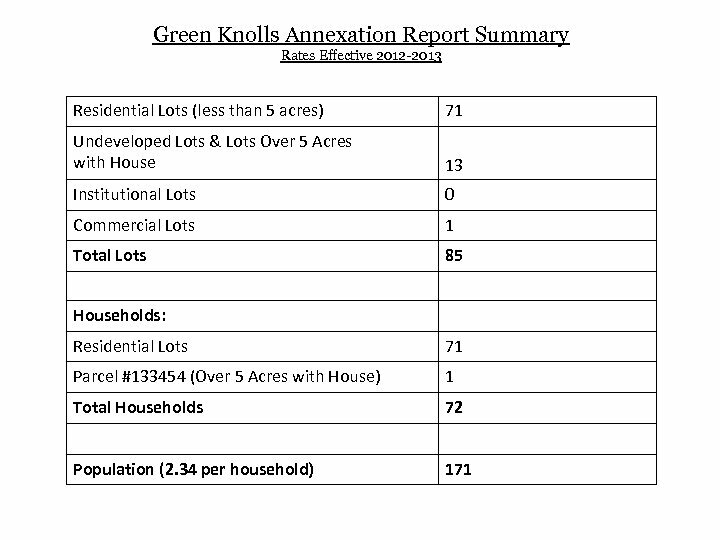 Current Areas Under Consideration for Annexation • The Green Knolls area could be undertaken at any time now that the Indian Hills annexation is effective. 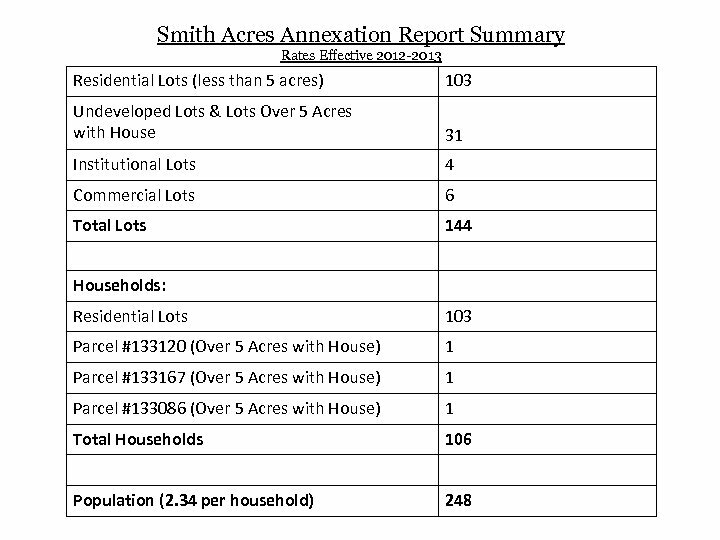 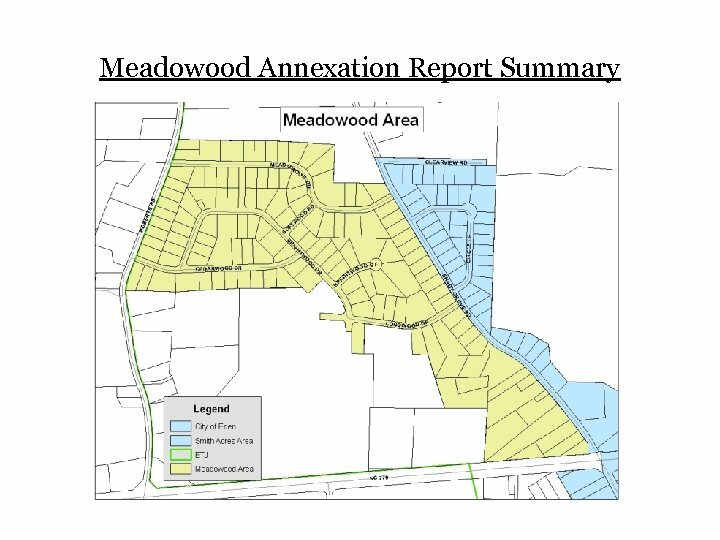 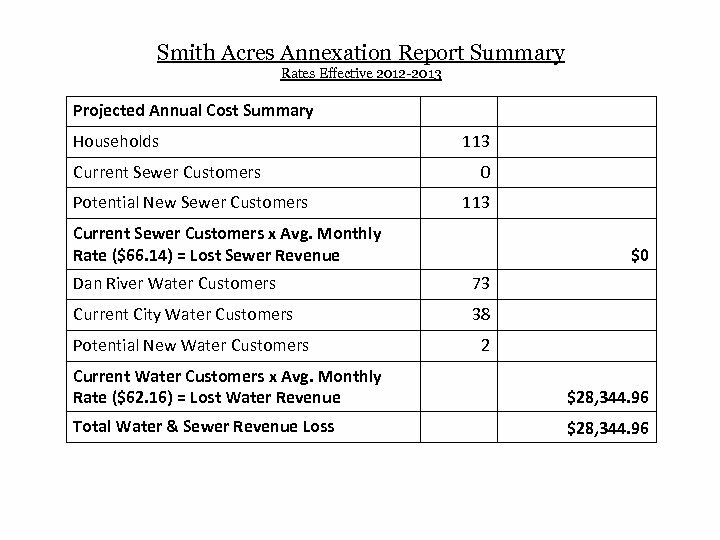 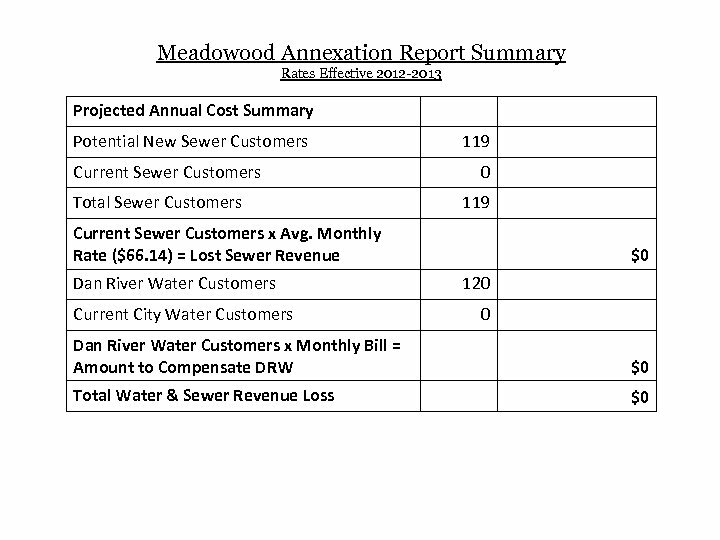 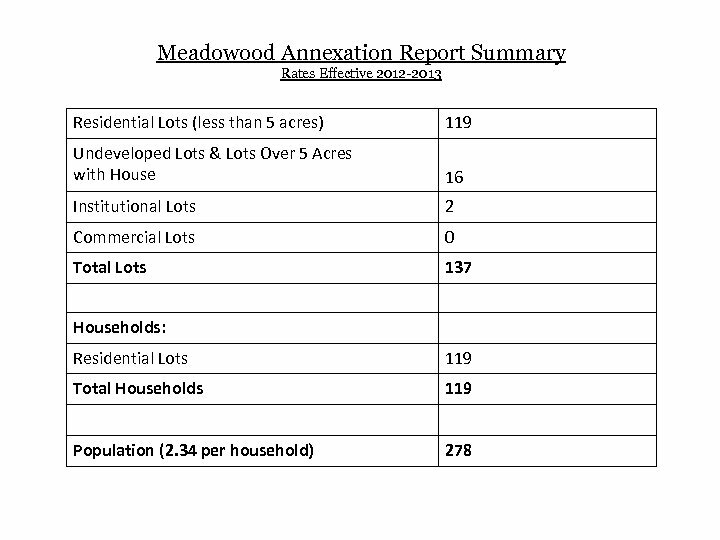 • The Meadowood area could only be started after the Smith Acres annexation becomes effective. 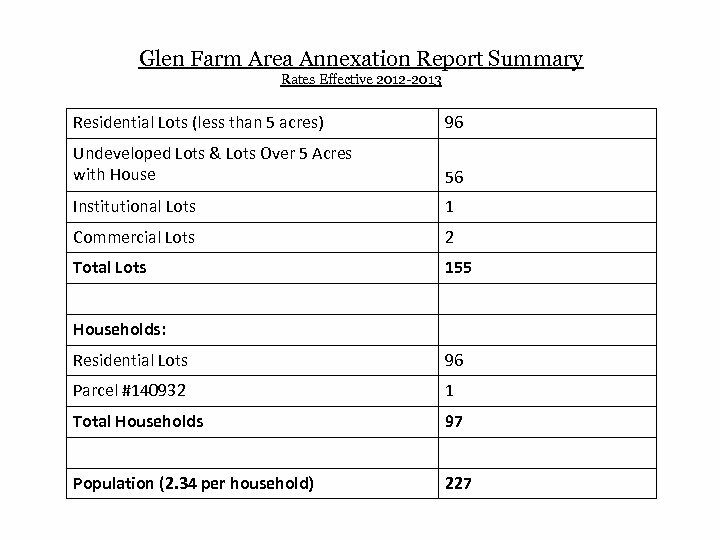 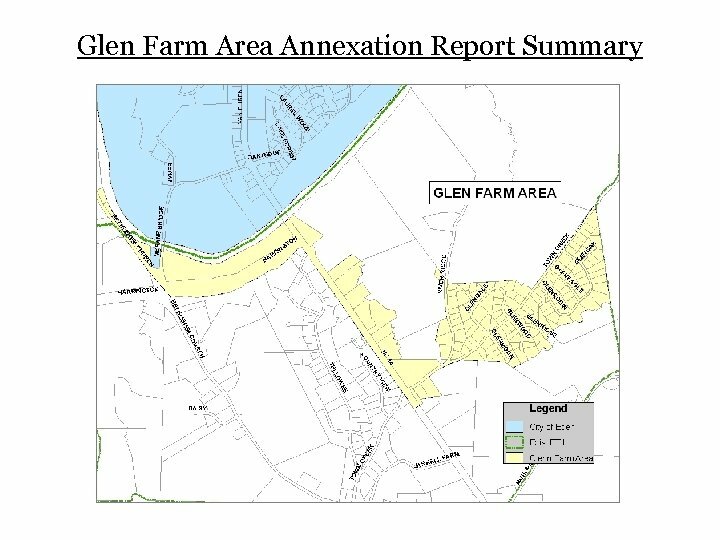 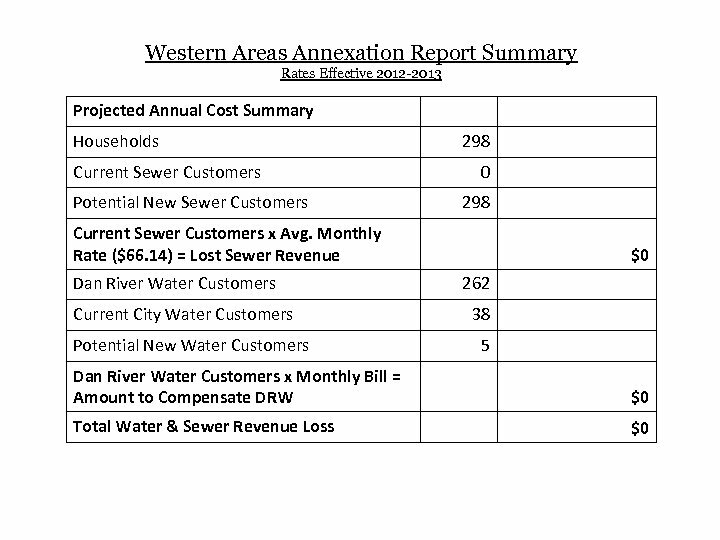 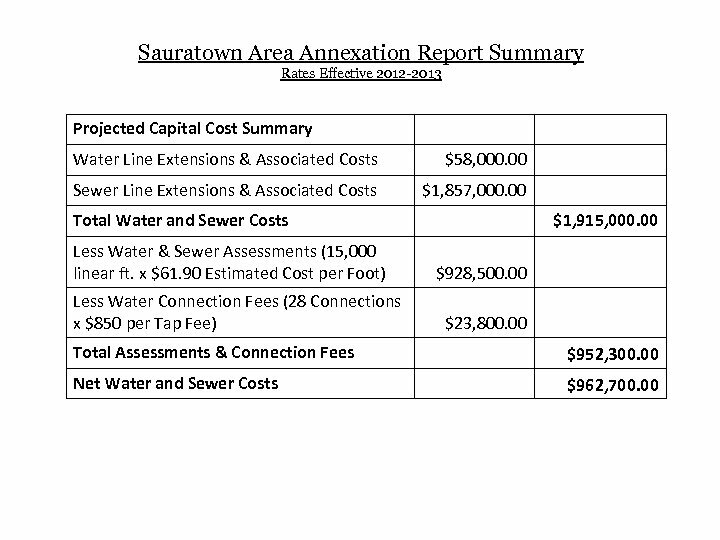 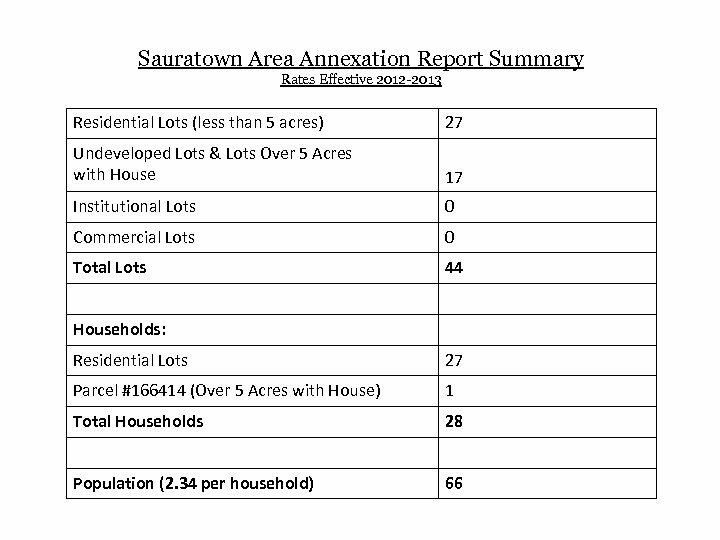 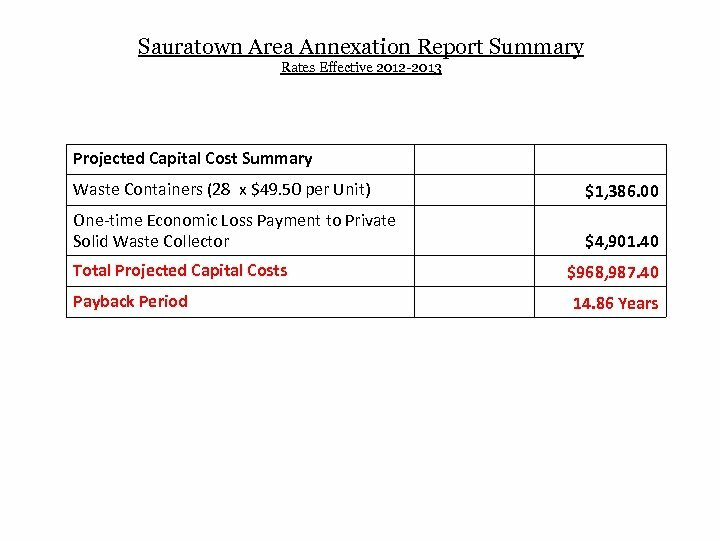 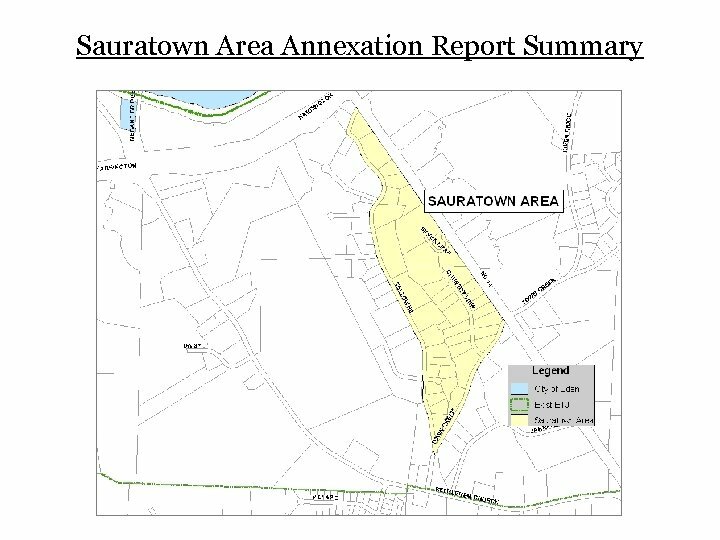 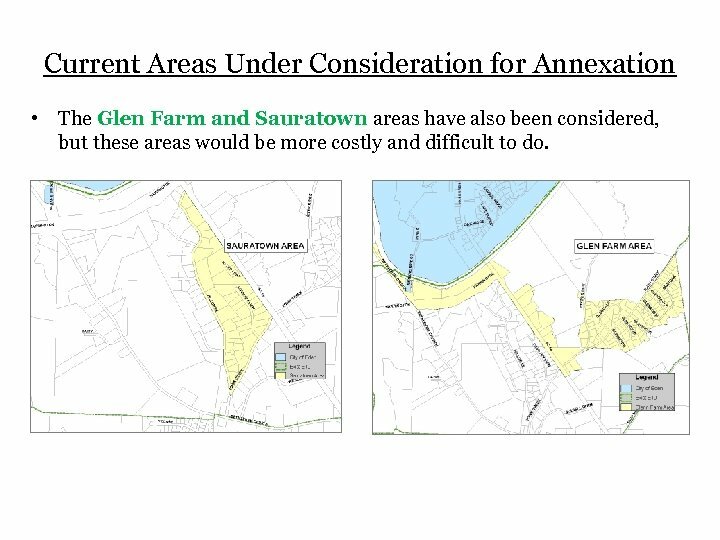 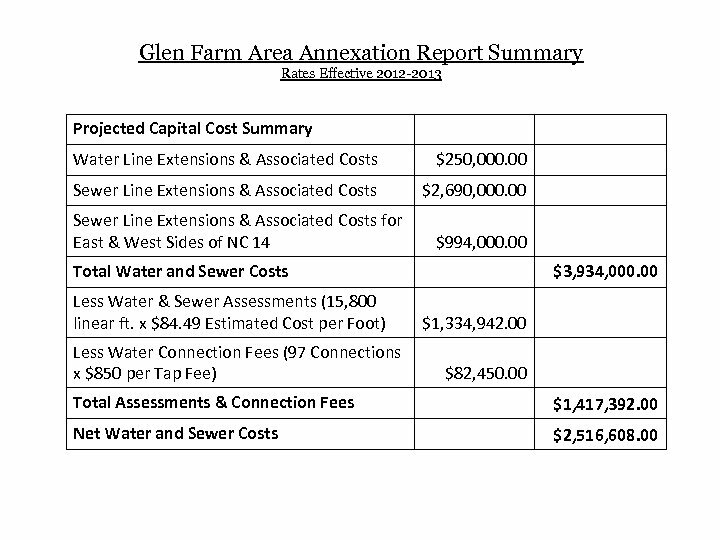 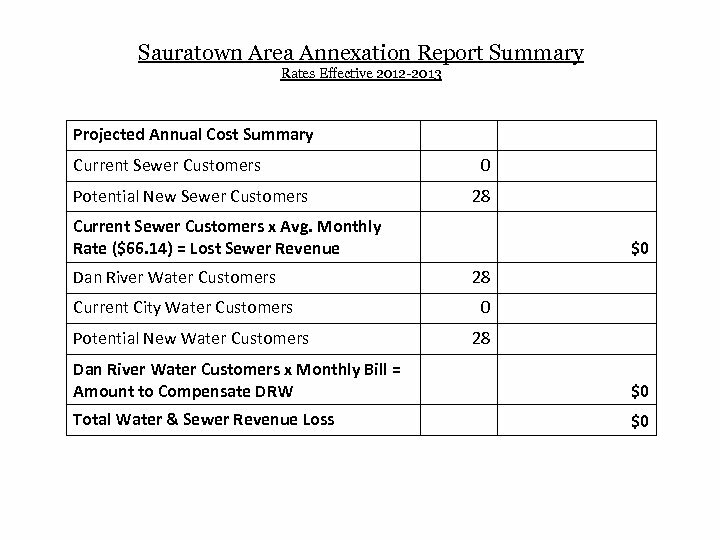 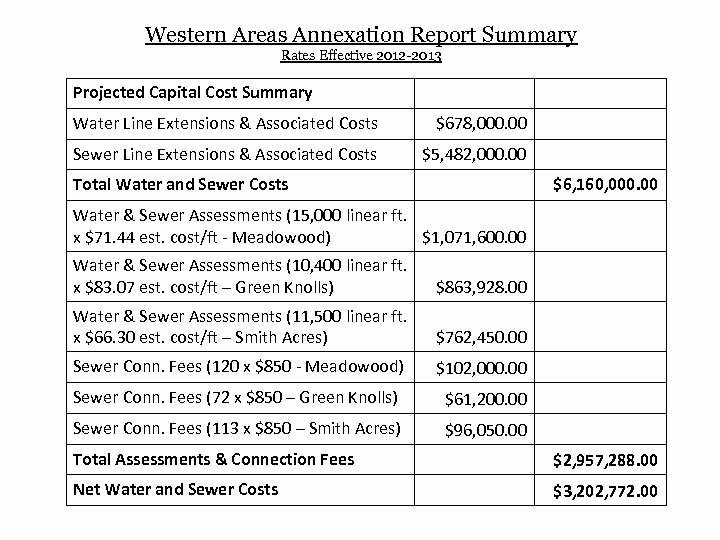 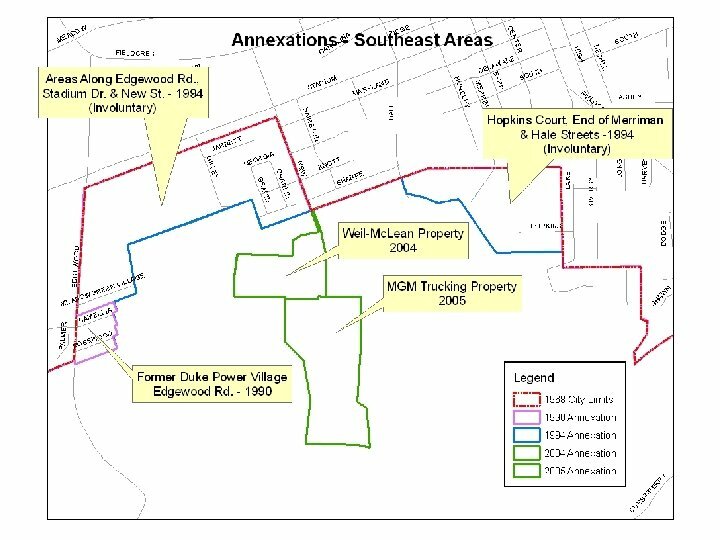 Current Areas Under Consideration for Annexation • The Glen Farm and Sauratown areas have also been considered, but these areas would be more costly and difficult to do. 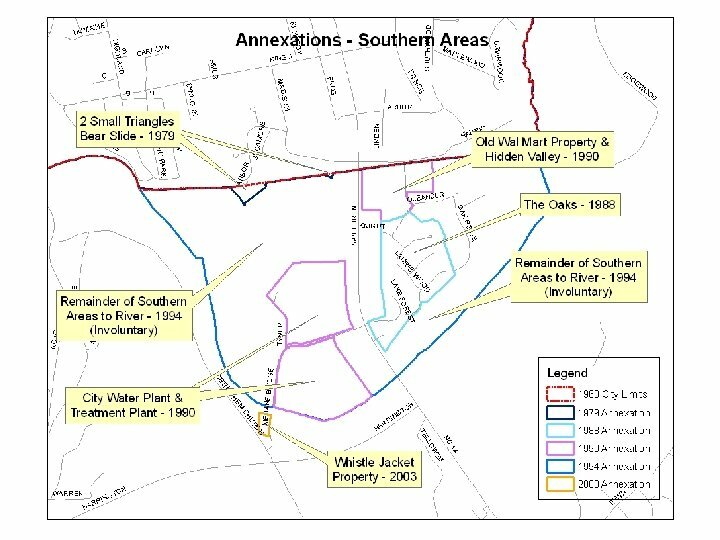 Recommendations • Review all industrial sites outside the City Limits but within the ETJ for feasibility of annexation, with particular focus on the Hanesbrands property. 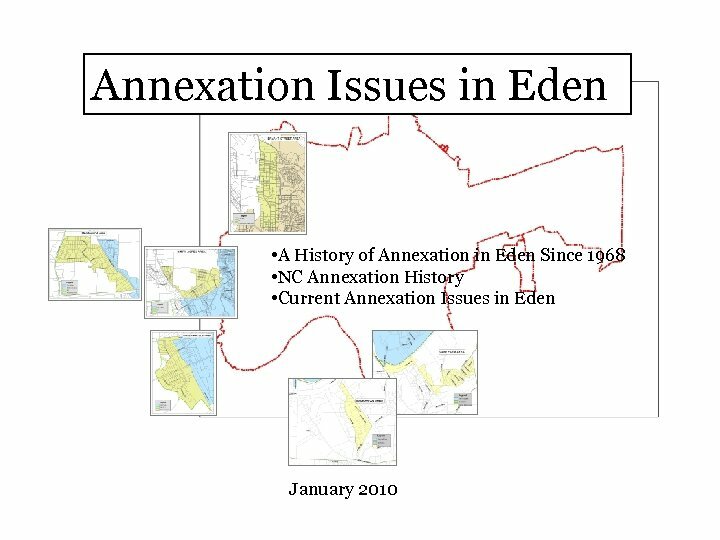 • Update Resolution of Consideration in February 2010. 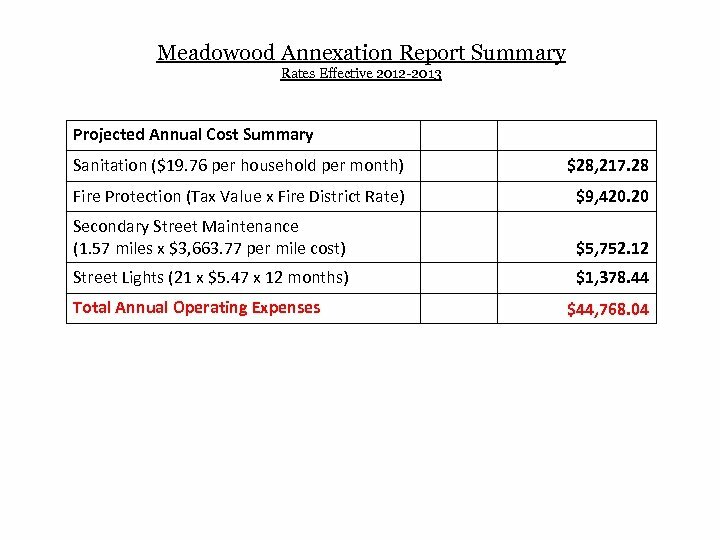 • Financial constraints: o Current economic conditions in the City, County, State & Nation are not very stable. 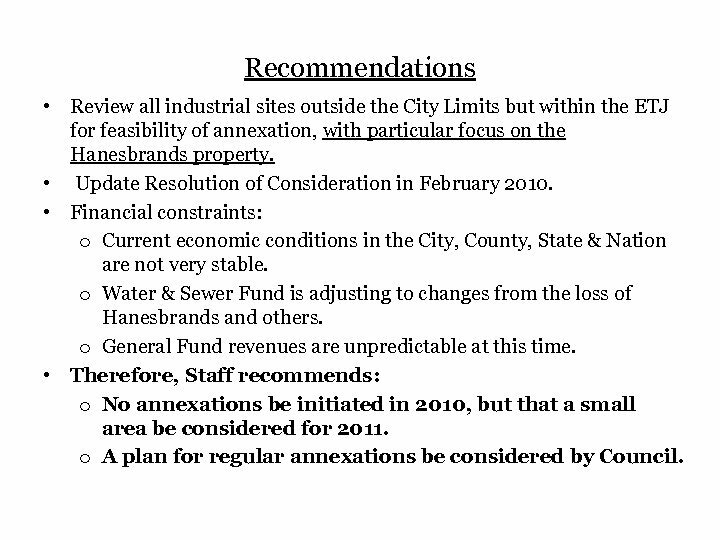 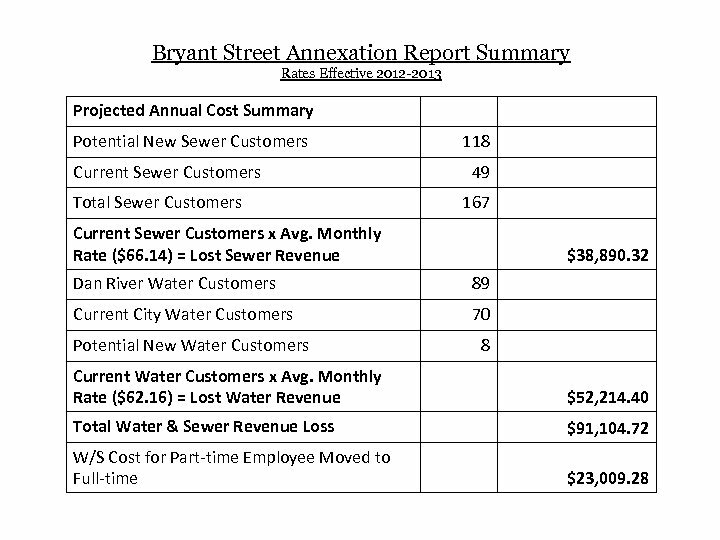 o Water & Sewer Fund is adjusting to changes from the loss of Hanesbrands and others. o General Fund revenues are unpredictable at this time. 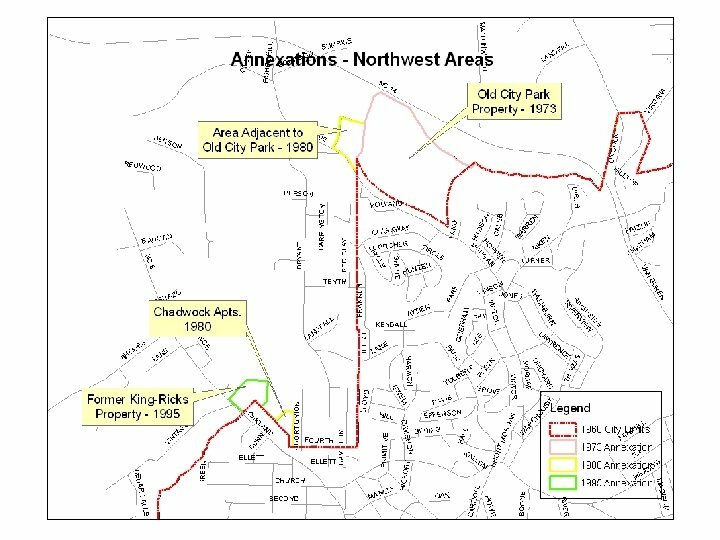 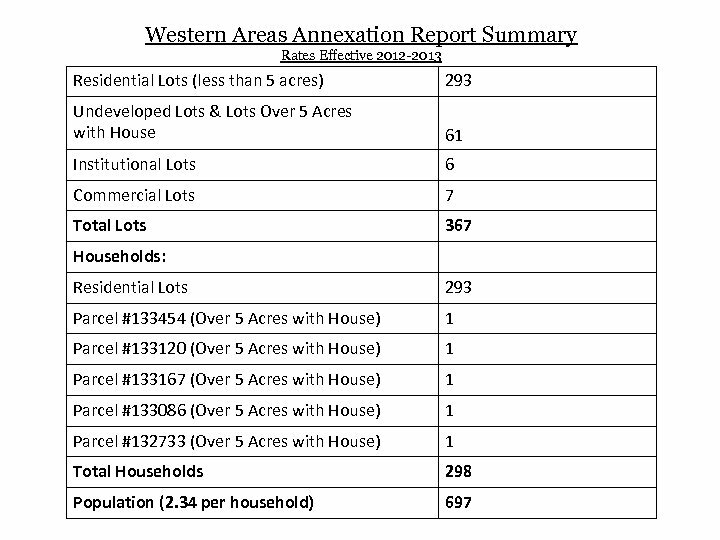 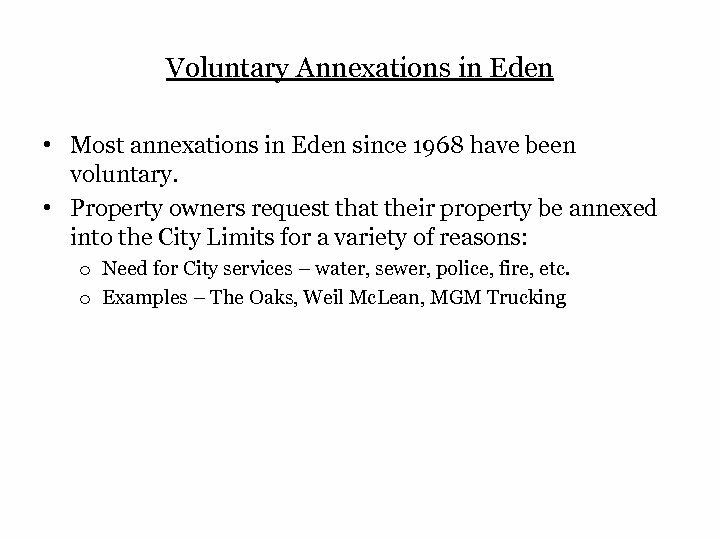 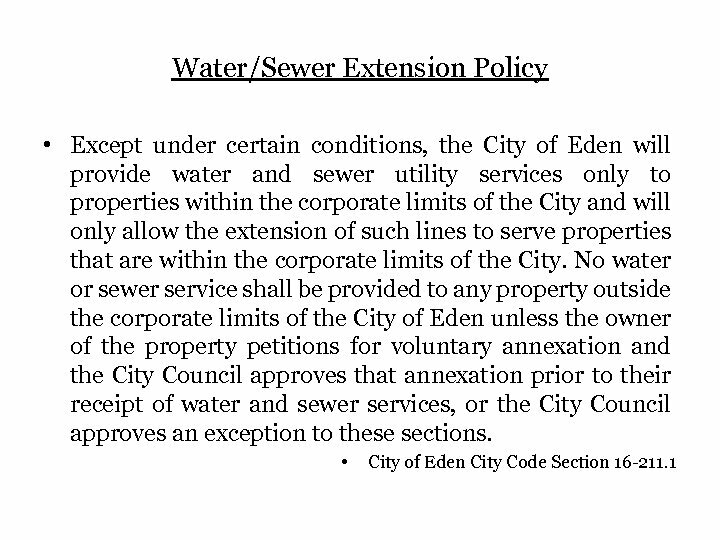 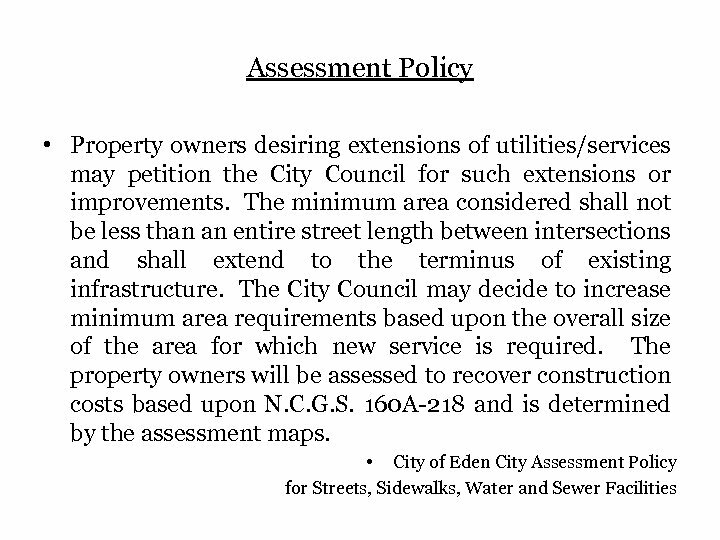 • Therefore, Staff recommends: o No annexations be initiated in 2010, but that a small area be considered for 2011. o A plan for regular annexations be considered by Council.